Pictures from a Blog Readers Shopping Spree! 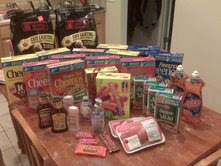 One of my readers, Stephanie, sent me her SCORE from Publix & Kmart! She did awesome! 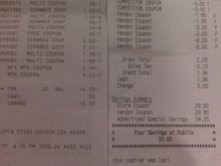 (Sorry I couldn’t get the pics bigger) Here was her list & totals. AWESOME JOB STEPHANIE!!!!!! I LOVE getting these kinds of emails, please send me your trip details anytime!